Get ready for the first round of the volume! 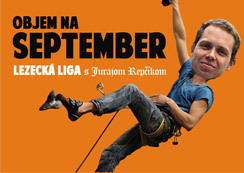 From 01 to 30, 09, runs the September round of climbing the league. 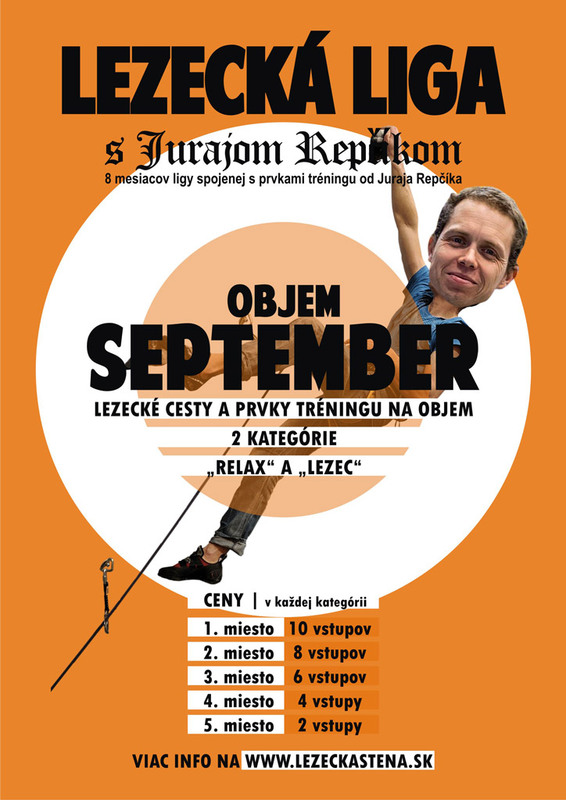 The rules and categories remain unchanged, but within the eight-month training cycle with Juraj Repčík will add elements of climbing training. During September and October will be climbing league focused on volume. Prices for the most gained points will be awarded to the first five of each category. 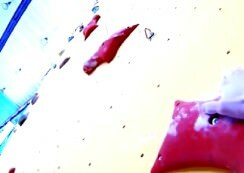 Climbers who were placed in the category “Relax” in third place will automatically collect points and above “climber”. 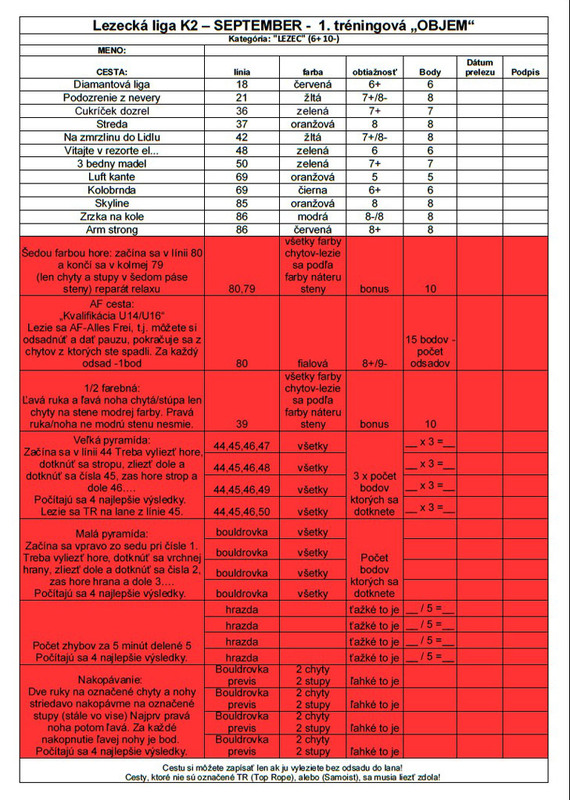 Throughout the month you will climb 30 selected routes + bonus routes that are different for each category. This time we open two categories. Category Climber is for those who are dedicated to climbing a longer period of time and for those who in previous round who placed in 5th place. Category RELAX is called for recreational climbers and beginners. For each climbing route is certain points. The number of attempts on the way is irrelevant. Top five climbers in each categoriy will be rewarded. You must climb each climbing route top-rope, if not otherwise permitted. You will receive a list of league climbing route from receptionist. You will write routes that you have climbed. However, it must be signed by the witness of your achievement. You can collect points by the end of September. When collecting point for Bonuses you must climb exactly according to instructions.